President of Michael Capo CPA, P.C. Mike has over 25 years of accounting and finance experience in corporate, individual, independent and government environments. Mike's extensive knowledge is invaluable to his clients and allows him to provide a consultative approach personalized to each of his business and personal tax clients. What are S Corporation advantages and disadvantages? Frequently, this question arises whenever a client is just starting a business, or has been operating as a sole proprietor and may be wondering about the tax advantages of incorporating as an S Corporation. Also, many clients assume it will be too costly or time-consuming to incorporate—but neither is the case. 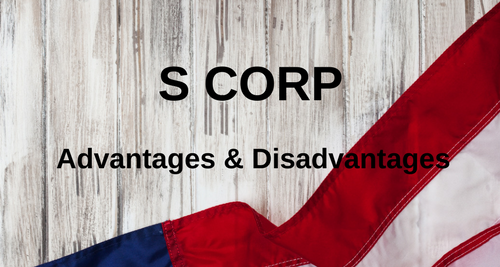 The following is a brief outline and comparison of an S Corporation advantages and disadvantages. However, please feel free to set up a consultation to discuss your specific business opportunity needs and whether or not an S Corporation is right for you. Essentially, an S corporation is a corporation that is treated, for federal tax purposes, as a pass-through entity through an election made with the Internal Revenue Service (IRS) to be considered an S Corporation. What does that mean? As a corporation, an S corporation is created through filing Articles of Incorporation with the Mass. Secretary of State. It issues stock and is governed as a corporation. The owners, who are called shareholders, have the same protection from liability as shareholders of a C Corporation. An S corporation shareholder’s personal assets, such as personal bank accounts, cannot be seized to satisfy business liabilities. However, like a sole proprietor or a partnership, an S corporation passes through its income and loss items to the shareholders. Unlike a regular corporation, there is no “double taxation,” once at the corporate level and again on the individual shareholder level. Each shareholder is subject to his or her own individual tax rate on the income (or losses) passed through to him or her at year-end. The following are S Corporation advantages and disadvantages to consider. Protected assets. An S corporation protects the personal assets of its shareholders. A shareholder is not personally responsible for the business debts and liabilities of the corporation as long as there is no personal guarantee. Creditors cannot pursue the personal assets (house, bank accounts, etc.) of the shareholders to pay business debts. In a sole proprietor or general partnership, owners and the business are legally considered the same—leaving personal assets vulnerable. Pass-through taxation. An S corporation does not pay federal taxes at the corporate level. Any business income or loss is “passed through” to shareholders who report it on their personal income tax returns. This means that business losses can offset other income on the shareholders’ tax returns. This can be extremely helpful in the startup phase of a new business. Tax-favorable characterization of income. S corporation shareholders can be employees of the business and draw salaries as employees. They can also receive distributions from the corporation that are tax-free to the extent of their investment (basis) in the corporation. A reasonable characterization of distributions as salary or dividends can help the owner reduce self-employment tax liability, while still generating business expenses and wages paid deductions for the corporation. This is one of the major advantages why an S Corporation is preferred by most privately owned businesses. Straightforward transfer of ownership. Interests in an S corporation can be freely transferred without triggering adverse tax consequences. (In a partnership or an LLC, the transfer of more than a 50-percent interest can trigger the termination of the entity.) The S corporation does not need to make adjustments to property basis or comply with complicated accounting rules when an ownership interest is transferred. Formation and ongoing expenses. To operate as an S corporation, it is necessary to first incorporate the business by filing Articles of Incorporation with the Mass. Secretary of State and pay the appropriate fees. Massachusetts also imposes ongoing yearly fees, such as an annual report and excise tax fees. Although these fees usually are not expensive, and can be deducted as a cost of doing business, they are expenses that a sole proprietor or general partnership will not incur. Stock ownership restrictions. An S corporation can have only one class of stock, although it can have both voting and non-voting shares. Therefore, there can’t be different classes of investors who are entitled to different dividends or distribution rights. Also, there cannot be more than 100 shareholders. Foreign ownership is prohibited, as is ownership by certain types of trusts and other entities. Typically, this is not an issue with locally private owned businesses. Closer IRS scrutiny. Because amounts distributed to a shareholder can be dividends or salary, the IRS scrutinizes payments to make sure the characterization conforms to reality. As a result, dividends may be re-characterized as wages, which subjects the corporation to employment tax liability. This is one particular area that needs to be discussed in great lengths to assure that a shareholder is taking the proper amount of salary. Less flexibility in allocating income and loss. Because of the one class of stock restriction, an S corporation cannot easily allocate losses or income to specific shareholders. Allocation of income and loss is governed by the percentage of stock ownership, unlike a partnership or LLC where the allocation can be set in the operating agreement. If you are interested in further exploring S Corporation advantages and disadvantages in regards to your specific business, contact the offices of Michael Capo, CPA. P.C. to schedule a meeting, 978-499-4300. Protect yourself, your family, and close friends against common tax scams. 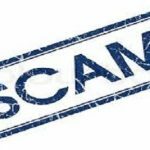 Take the time to understand key facts that can help you know if you are being legitimately contacted by the IRS, or if you are being approached as part of a common tax scam. Please read the links below and if you have any questions, feel to free to call the office of Michael Capo to discuss at 978-499-4300. The IRS will not call you as initial contact for a tax matter. You will always receive a letter from the IRS if you have a tax issue. This is a confirmed tax scam. Do not give them banking or credit card information over the phone. The IRS will not email you any tax related notices. The CP2000 notice can be a valid IRS document however it will come via USPS not email. If you believe that you have an issue with the Affordable Care Act, call the IRS directly at 800-829-1040. We proactively share information with clients regarding many important tax related topics. 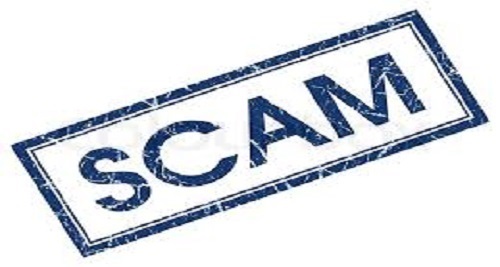 Highlighting tax scams is just one example. We strive to provide awareness of tax related issues as well as impacts/ramifications of key tax related decisions. We work to ensure that our customers are armed with information necessary to make informed decisions related to their specific circumstances. We pride ourselves on providing top notch accounting services for both individuals and businesses and we offer a broad scope of services. We assist many clients with a basic personal returns, and for other clients we are managing important tax related elements of their business such as invoicing, payroll taxes, preparation of 1099’s as well as training on accounting tools such as QuickBooks. Call to schedule an appointment as we welcome the opportunity to assist you with your tax and accounting needs.